One of the first vehicles announced for the 2019 model year was also one of the most exciting, if not the most exciting. 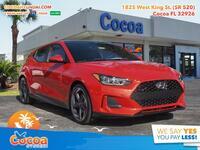 The vehicle we’re talking about is none other than the all-new, next-generation 2019 Hyundai Veloster in Cocoa FL. The completely redesigned sports car is back and better than ever with a fresh design and tons of new content that make it simply the best iteration for which we could’ve hoped. 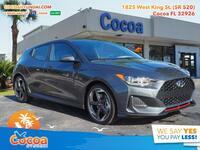 The Hyundai Veloster was first introduced for the 2011 model year, and it underwent plenty of concepts, updates, and changes in the years that followed. But ultimately, it never reached its full potential in the eyes of many. 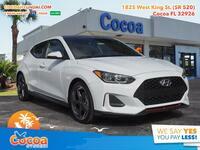 Hyundai listened to feedback and produced a Hyundai Veloster that we can all be proud of, and we’re pleased to offer it right here at Cocoa Hyundai! With a redesign comes plenty of enhanced specs and features, and the 2019 Hyundai Veloster is no different. Well, no different from the norm, that is – it’s definitely different than it what it used to be. 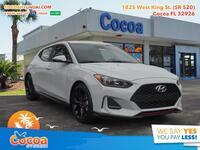 Overall, the Veloster was rebuilt from the ground up, including a redesign to both its exterior and interior, enhancements to its powertrain, and a plethora of updated features in the realms of entertainment. We’ll let the images speak to the design changes themselves, but we want to make sure we fill you in on the new performance specifications. Now powered by either a 1.6L turbocharged 4-cylinder engine or a 2.0L 4-cylinder engine, it’s capable of doling out either 201 horsepower or 147 HP. It also offers a host of new transmission options, including a 6-speed manual, 6-speed electronically-controlled automatic, or 7-speed dual clutch transmission. 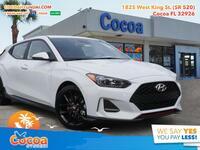 If you’re interested in a 2019 Hyundai Veloster of your own, be sure to get in touch with us right here at Cocoa Hyundai. We look forward to seeing you in the driver’s seat!